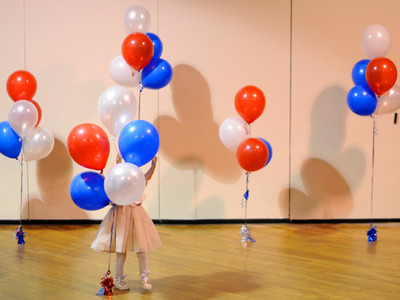 REUTERS/Gretchen ErtlA girl at Scott Brown’s election night rally in Manchester, New Hampshire. Good morning! Here’s what you need to know before markets open. Republicans Now Control Both US Chambers Of Congress. The Republicans needed six additional Senators to win a majority in Tuesday midterm election, and they won seven. What Now For Stocks? UBS’ Julian Emanuel notes that when Newt Gingrich and the “Republican Revolution” took Congress with Democrat Bill Clinton sitting in the White House, stocks began a historic bull run. Some would argue that gridlock can actually be bullish for the stock market. Markets Are Up. US futures are up, with Dow futures up 56 points and S&P futures are up 7.9 points. In Europe, Britain’s FTSE is up 0.9%, France’s CAC 40 is up 1.4%, and Germany’s DAX is up 1.2%. Japan’s Nikkei closed up 0.4%. Oil Is Tumbling Again. WTI crude oil prices dropped as low as $US75.84 per barrel shortly after 5 a.m. ET. Brent crude touched $US81.63. While this is great for consumers, this is troubling for the oil producers who may be forced to idle unprofitable projects. China’s Services Underperformed in October. China’s services PMI dipped to 52.9, the lowest level in three months. Toyota Just Boosted Its Profit Forecast 9%. Toyota raised its full-year operating profit forecast by 9.1% on Wednesday as a sharp decline in the yen against increases in the value of repatriated earnings makes up for lower vehicle sales. The French Government Just Approved the GE-Alstom Merger. General Electric’s planned €12.4 billion ($US15.6 billion) purchase of most of Alstom’s power business was approved by economy minister Emmanuel Macron. Pimco’s Flagship Fund Saw Its Biggest Outflows Ever. $US27.5 billion (£17.7 billion) left Pimco’s Total Return Fund in October, bringing the fund’s assets under management to $US170.9 billion as of Friday, a roughly 14% decline from the start of the month. Data. At 8:15 a.m. ET, we’ll get the ADP national employment report. Economists estimate US companies added 220,000 private payrolls in October.